Welcome to my Crosman Elkhorn Jr. 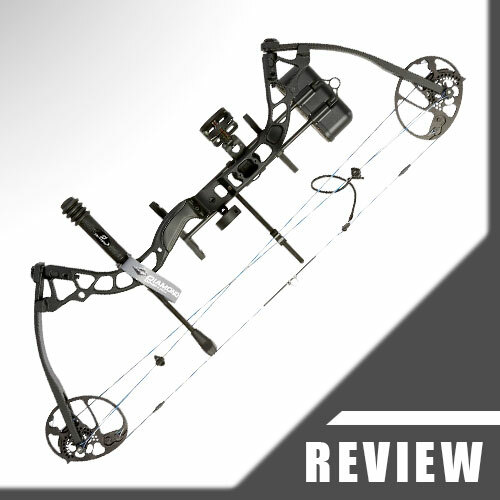 Compound Bow review! As I have found a lot of uncertainty in parents about the Elkhorn Jr being left- or right-handed during my reasearch I wanted to make that clear right from the beginning. This model is only available in a right-handed version. That means your kid is holding it in the left hand while pulling the string back with the right hand. It is not meant to be shot left-handed, as the arrow rest is on the left. 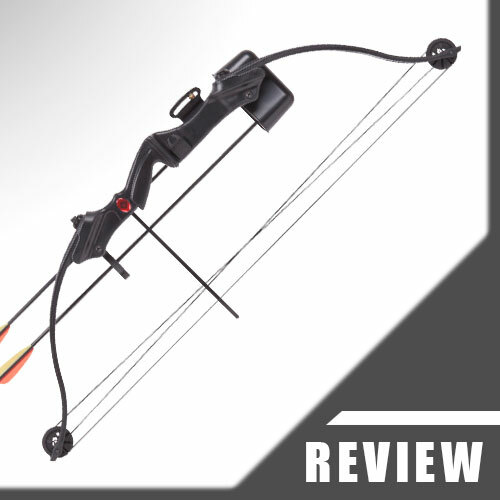 The Crosman Elkhorn is a compound bow. That means there is one long string wrapped around two wheels (cams) on each end of its limbs. This may look like several strings to you but in reality it is just one. The wheels are there to make it easier for archers to hold the string after pulling it back, because they take tension out of the process. Models without a wheel-system are called recurve bows. The manufacturer recommends the Crosman Elkhorn Jr for children at the age of 9 or older. I found reviews of parents whose children were six years old who claimed they could shoot with this model – which I do not believe. The draw weight is between 17-21 lbs which is too much for a six year old in my opinion. Don’t overstrain the muscles and tendons etc. of your child. For kids eight years and up you can let’em try. If it works, fine. If not, just wait a year or two. I found lots of people – especially females – who liked to shoot this one at an age of 16, 18 and up to 25. I would recommend for anyone who is older than 14 to get an appropriate beginner model. 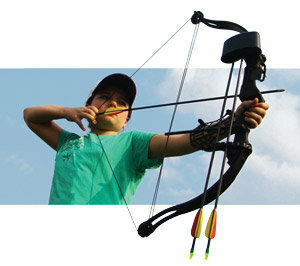 The Crosman Elkhorn is meant for children to learn how to deal with a bow and to learn shooting it in a playful manner. So don’t expect more of it than that. Although the Crosman Elkhorn is meant for children, you have to supervise your kids while shooting. After all this is a weapon that shoots arrows that have metal tips. They could hurt pets, friends or themselves! Randy penetrated double-folded cardboards easily! Don’t forget that. Place something behind your targets while shooting that catches arrows that miss it. Something that catches the arrows safely. Think hay bails or thick cardboard etc. Don’t use a wall or the arrows will break. By the way you don’t need a license for owning a bow. You would probably need one for hunting but you couldn’t and shouldn’t do that with this model anyway. 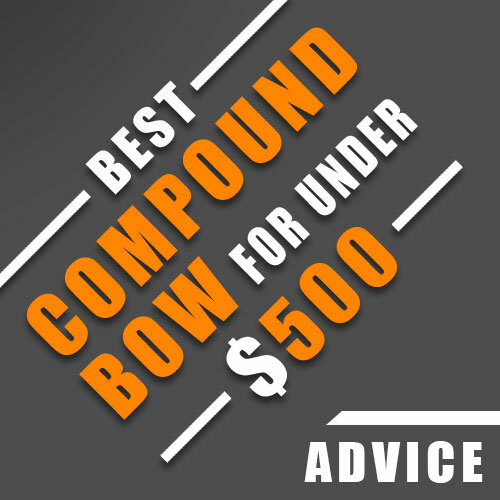 If you want to learn more about the topic please feel free to read my guide here => Beginner’s Guide To Compound Bows. 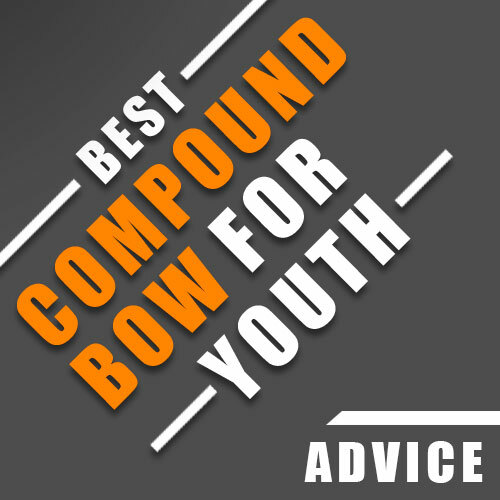 If you need more help with choosing a model for your kids, I have an article about that as well => How To Choose A Youth Compound Bow. 2 composite arrows. These are of minor quality. I found dozens of posts that clearly stated that most of those arrows broke pretty fast. Randy had a comletely different set already, as the arrows included broke after a day or so. So do your kid and yourself a favor and buy some more arrows. I lose arrows all the time when shooting, so that is something that you need to take into account when diving into archery. It just happens. The recommended length for arrows by the manufacturer is 26“. Arrows that are longer (28“-30“) should work as well, although accuracy can go down if the arrows are too long for the archer. Don’t use arrows shorter than 26“ or your kid might shoot in his or her own hand. Maybe get lighter arrows, as the ones that come with the bow are pretty heavy. Lighter arrows will shoot better from this compound and travel longer distances. If you use other arrows than the two you get with this model their nocks probably won’t fit the special string of this model 100%. In such a case you could wrap some thread around the string to make it a bit thicker so that the arrows get a better hold on the string. Rick bought Easton Scout 2 arrows but he had to file the nocks to get a better fit on the string. You could also try the Easton Genesis 2, as those are well known youth arrows too. 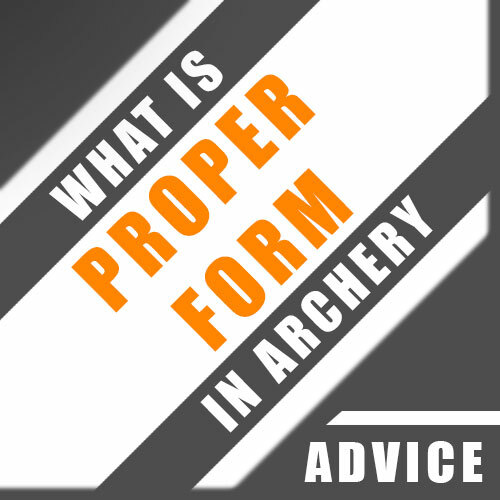 If you want to learn more about arrows in general, I also have an article about that here => Choosing The Right Arrows For A Compound Bow. You will also get a 2-piece quiver that is not the best one of course but more than enough for starting out. Some kids don’t want to mess around with mounted quivers anyway so you can take it off too, of course. That would make the compound lighter as well, which is better for aiming and carrying it around for ours. Especially smaller kids may profit from a lighter bow, as every additional pound makes it harder for them to handle the whole thing, which might cost motivation over the long run. An armguard to prevent string slaps to your kid’s forearm. Lots of people said that it felt and looked cheap because it is made out of plastic, so maybe get something better if you have the chance. Randy already had a different one so I was not able to judge the quality of the originally included armguard, but it is better to get an appropriate one as string slaps to the forearm can hurt quite a bit, and you don’t want your kid to be afraid of compound bows, as this might end their journey in archery pretty quickly. String slaps are a sign that something is wrong while shooting. They happen most of the time because the young archer is not shooting with proper form. If you never heard that term before, I would suggest you read my article about it here => … Shooting with proper form is the most important thing when starting out. A finger-tab to protect your child’s fingers while shooting. This one is as cheap as the armguard. I would get a real shooting glove in extra small for my kids if I were you. Those are more comfortable to wear than a finger-tab, especially if your kid is starting out with archery and just wants to shoot without thinking about the flimsy finger-tab. A single pin sight which is not bad at all. In case you come by a professional shop you could ask them if they have something better (maybe go for a three pin sight), but it is not necessary for starting out. Although I have do say that some of the most important things on a compound are arrow rest and sight, especially for accuracy while shooting. You may need to sight the pin sight in for – or better with – your kid. A rule of thumb for sighting in a bow is to follow the arrows. So if you shoot to the right and up, adjust the sight accordingly. Start with the vertical adjustments, then move to the horizontal ones. If you want to learn more about sighting in a compound, please feel free to read my guide about it here => How To Sight In A Compound Bow. The arrow rest that comes with the Crosman Elkhorn Jr looks pretty cheap. It was made out of rubber as Randy told me and did not sit always tight which made it hard for him to get consistent results while shooting. So Rick switched it out with a better one (Trophy Ridge Whisker Biscuit Kill Shot rest). You could also try a drop down arrow rest if you want to, but Whisker Biscuits or ‚brush style‘ rests are just great, so I would start with one of those. There is no nocking point on the string. A nocking point is a small metal ring that is attached to the bow string at a certain area so that the arrow is always positioned at the same point while shooting. This is a must for consistency while practicing / shooting. As the string of the Crosman Elkhorn is a bit different than normal strings (it’s thinner) you need to find a nock that fits it properly (nocks are available in different sizes as there are strings that have different thicknesses). You could use a simple wrap of scotch tape around the string just below the point where the nock should be as workaround, though. Or pinch the arrow nocks together so that they get a better hold on the string. Or use a small zip tie as a workaround. There is no target included. Get cardboard boxes or fill a canvas sack with plastic wrap or foil stuffed into it. Paint a circle on it and use it for practice. You don’t need to buy an expensive target by all means. Just get started with something. And maybe get hay bails as backstop behind the target for catching missed arrows safely. Don’t position the target in front of a solid wall or a tree etc., because arrows tend to splinter or crack when hitting solid objects. If this happens nonetheless, inspect the arrow carefully. If you find small cracks just throw it away. Shooting with cracked arrows may land splinters in your kid’s hand rather sooner than later. There is also no carry case included with this compound. But there are a lot of options out there, if you want one for storage or transport. Think about where you want to put it when your kid isn’t shooting. Don’t put it on one of its limbs for too long or they can get damaged. Don’t leave it in a hot car or hot attic or at any place with moisture or dampness in it. Heat or moisture can damage the compound irreversably. Another option is to put it on a bow rack or something, where it can hang safely for days or weeks. You could buy a release aid for your kid to increase accuracy while shooting. Mechanical release aids were made specifically for shooting compounds. Nobody finger-shoots them. Well, I assume there are people finger-shooting compounds, but that is not how you should do it. A release aid will take the fingers of the shooter out of the equation, resulting in more accurate shots overall, because fingers tend to twist the string especially when releasing arrows, which can lead to wild shots or missing the target. A release aid is kinda like a glove. There is a clip with which the string is pulled back. A trigger releases it. Of course a mechanical aid is not needed to shoot this compound, but you could get one. Just saying. This Crosman model comes with a 90-day limited warranty (nearly forgot to mention that) against defects in material and workmanship. You need to keep your original sales receipt. Without it, the Crosman Elkhorn is warranted 90 days from the date of manufacture. Strings, bearings, paint, cable clips and other movable parts or accessories are not covered. The warranty gets voided if you misuse or modify the Crosman Elkhorn in ways it was not intended to. For example never ever dry fire it or use arrows that are too light for it (same effect). 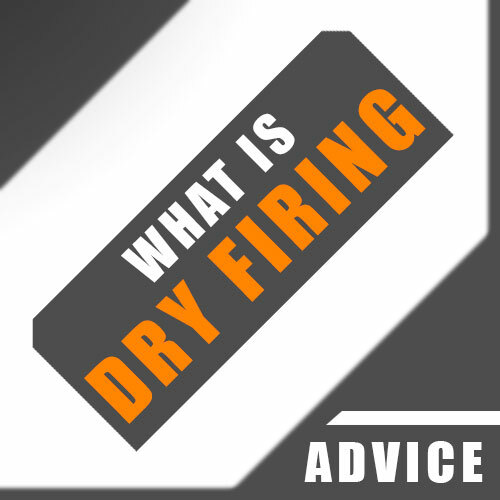 If you want to learn more about dry firing, I have an article about that here = Dry Firing A Compound Bow. The Crosman Elkhorn is made in Taiwan and comes fully assembled and strung (a compound does not need to be unstrung). 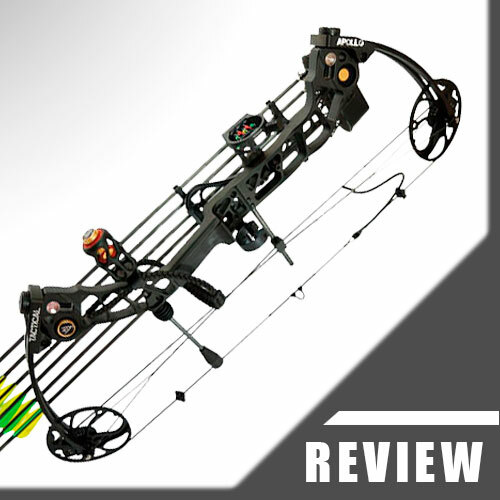 All you have to do is to install the arrow rest, the sight and the quiver. See the video below for further guidance and ignore the weak manual you get with it. It is a bit confusing as it is describing three models at once: Elkhorn, Wildhorn and Upland. All three are youth compounds with slightly differences. The Upland is a lightweight beginner`s bow with a draw weight of 10 lbs and a draw length of 22“-24“. So this one is meant for very young fellas. The Wildhorn is for stronger tweens with a draw weight up to 29“ and a draw length of 17“-26“. The Wildhorn’s draw weight and draw length are adjustable. I will go into in-depth reviews for both of them, as soon as I have the chance to get’em, so stay tuned! I wouldn’t call the Crosman Elkhorn loud. It sounds pretty normal for a compound with its low draw weight (more on the quiet side), so nothing to worry about. A hand shock is of course non-existent considering – again – the low draw weight. Apart from that, noise level and hand shock are not that important for a youth model like this. 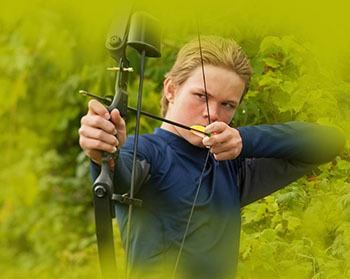 Remember, it should familiarize your kids with compound bows and archery in the first place. It’s all about fun and learning to deal with a compound bow. Overall the Crosman Elkhorn seems to be quite sturdy and well made. The body is made out of composite fiber (extremely light), limbs and other parts are made out of durable composite material. The center shot riser is pre-equipped and has a large gap for the sight which is good for aiming comfortably. The cam system seems to be quite good. Due to the solid cable (string) there is also a special cable guard included for good shooting performance. The axle to axle length is 33“, its weight is 1 lb and 12 oz, which seems to be light enough for children. Randy did not complain, so I assume it’s okay for him. 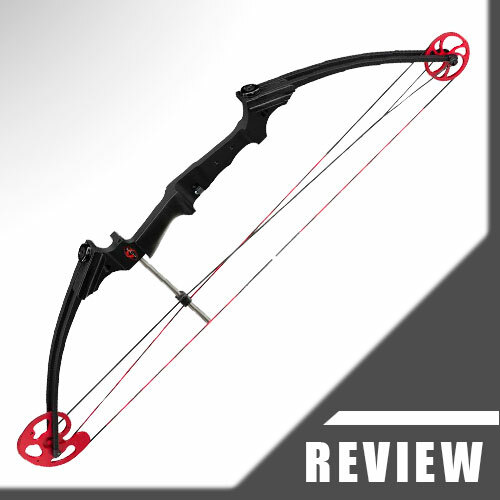 The Crosman Elkhorn Jr is only available in black for right-handed archers. So if your kid writes with the left hand and therefore would hold the bow with the right hand while pulling the string back with the left hand, this compound is not for you. The thinner grip of this compound was especially designed to suit the hands of young kids. Adults won’t feel comfortable with it, at least I did not. But remember, for the recommended age group (9 years and up) it fits pretty well. The string is more of a cable-type. It is a one piece string, so you cannot serve a peep sight in. I would recommend you to wrap some thread around the string so that the arrows have a better hold. You won’t have to maintain this type of string, though, as it is described as an all-weather string. The Crosman Elkhorn Jr is smooth to draw and does not have much vibrations going on. The let-off is rather big (65%) which is good for kids learning how to shoot. The let-off is the distance from holding the string back for aiming to the point where it would pull forward to shoot the arrow. 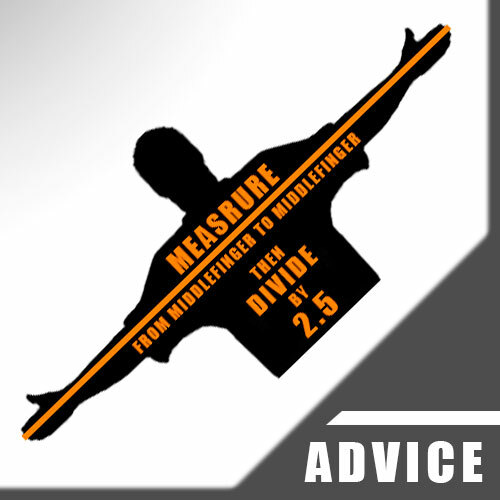 Concerning the draw length and the draw weight there is a lot of misinformation to find on the internet. So just to make that clear once and for all: The draw length and draw weight of this compound cannot be adjusted. The draw weight range (17-21 lbs) means in this case that the bow can have a draw weight within this range. It can be shot by kids that have a draw length up to 26“. Therefore it is not recommended for teens or adults that have bigger draw lengths! If you want to know how to measure your kid’s draw length, please read my guide about it here => How To Determine Your Draw Length. The brace height is 8“ which is pretty standard. As this is a model for youngsters there is no information out there concerning its shooting speed (feet per second; fps). But it is of course not that fast and you don’t want your children running around with one that has 300 fps – think dead grandma (Not a funny thought, I know. But I just wanted to make clear once again that this is not a toy. Even when it has a lower draw weight, it shoots arrows, after all). Because of the low draw weight of the Crosman Elkhorn Jr it is definitely not suited to hunt anything. Even small game cannot be killed in a humane way (if at all) which means one shot, one kill is not possible. My opinion is that children of the age the compound is recommended for should not be motivated to try to hunt anything with it. Just let’em experience how it is to shoot, let’em learn how to deal with such a bow and everything else will come along. As soon as they are older and able to draw more powerful and faster bows they will be ready to hunt together with their dads. Just don’t try to force that in any way. Just my two cents. Apart from that, the draw weight of this model won’t meet any of the legal requirements for bowhunting in any state, which is a clear sign not to try hunting with it. It’s simply not strong enough. To achieve a high kinetic energy, you would need a lot of poundage. If you want to learn more about kinetic energy, please read my guide about it here => Kinetic Energy For Bowhunting. As the Crosman Elkhorn Jr is not proper for hunting, I doubt it will be proper for bowfishing. You need a bit of firepower to penetrate the water and hit the fish. As the speed of it is rather low I don’t think you can do well with it. You should be able to attach a bowfishing reel, though, as there are a few standardized mounting holes. But to be honest I did not try that. My friend Rick didn’t try it as well and I was not able to find anyone on the internet that tried it. On the other hand a lot of people (including myself) prefer recurve bows for bowfishing as you can shoot more often and quicker than with a compound.So in the end, it’s up to you. The price point of the Crosman Elkhorn Jr is definitely very parent-friendly. With under 50 bucks you get a very well made youth model that comes shooting out of the box (after you have installed a few pieces, to be honest) and is easy to maintain (you don’t have to wax the string etc.) with extras like sight, arrow rest and two arrows etc. included. And I honestly think that you cannot do much wrong if you just want to find out if your kiddos are interested in archery at all. So spending around $ 50 to test if your son or your daughter might be interested in shooting is all in all a very affordable way of doing so. At least in my opinion it makes more sense to buy something in this price range than a more expensive model that will be in the danger of catching dust if your kids loose interest. If they prove that they will stay in archery I would invest in a more expensive model like the Diamond Infinite Edge Pro, of course. But for testing the waters the Crosman Elkhorn will do just fine. Alternatives are the Barnett Vortex Lite or the Barnett Banshee Quad. Like I already wrote above, the Crosman Elkhorn Jr is really a good option to test if your children might be interested in archery overall. It is a model meant for kids between 9 and 13 years and definitely not for teens or adults. If you want an option for your teen son or daughter or yourself, pick something proper for you that fits your stature and strength. If you’d like your kiddos rather outside of the house than inside, far away from their computers, video consoles, tablets or smartphones, then gift’em this compound. 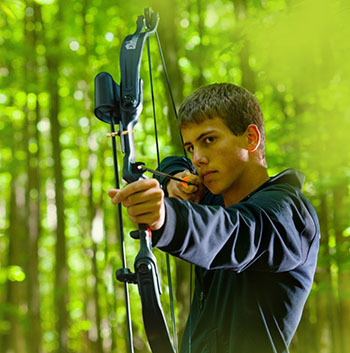 Use the momentum your kids got after watching Hunger Games (Katnis Everdeen), Avengers (Hawkeye) or Merida and show them what archery is really about. How it works and how much fun it is. If they like shooting you won’t regret it and maybe they will continue doing it for a very long time. You just need to plant the seeds like my friend Rick did, which obviously worked. Randy shoots pretty good and keeps getting better and better and Rick is looking forward to the day when Randy will join him hunting. So thanks for reading and shoot straight!